Order in the next 1 hour 16 minutes and your package will ship on Monday, April 22. 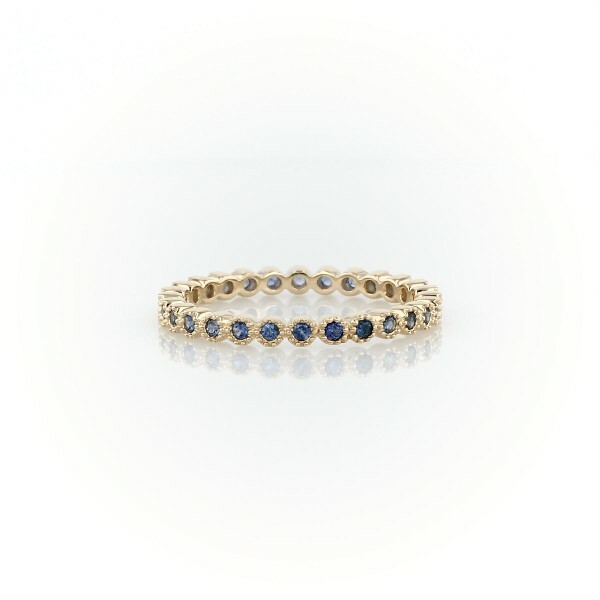 Simply indulgent, this eternity ring features blue sapphire crafted in a petite design of 14k yellow gold. Wear alone or stacked with other gemstone rings.